In the US, the names 'bison' and 'buffalo' are often used interchangeably, but are bison and buffalo really the same animal? The quick answer: Nope, not at all. As the story goes, early French explorers (they were among the first Europeans to see this animal) called the animals they saw roaming the American plain as les beoufs from the French word for oxen. This term "les beoufs" was then distorted into the word "buffalo." 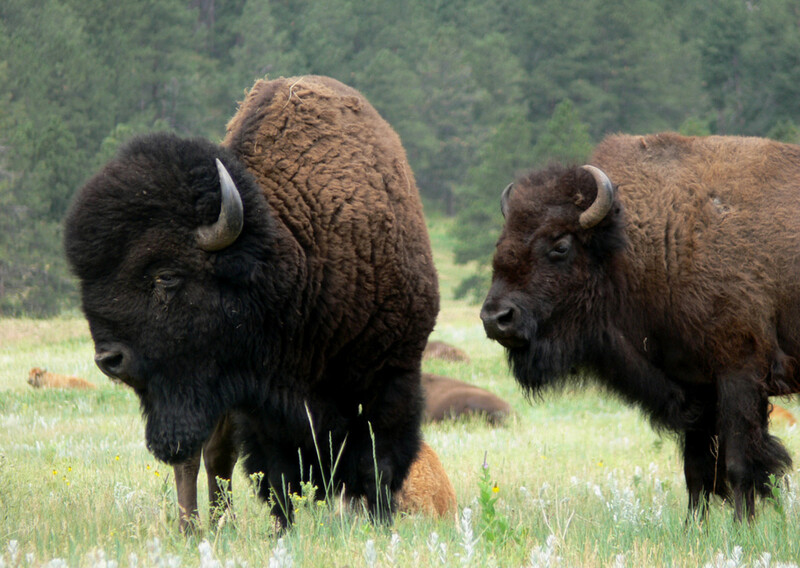 Bison and buffalo are considered distinct species from different parts of the world. How can you tell the difference? Well, here's a quick rundown. 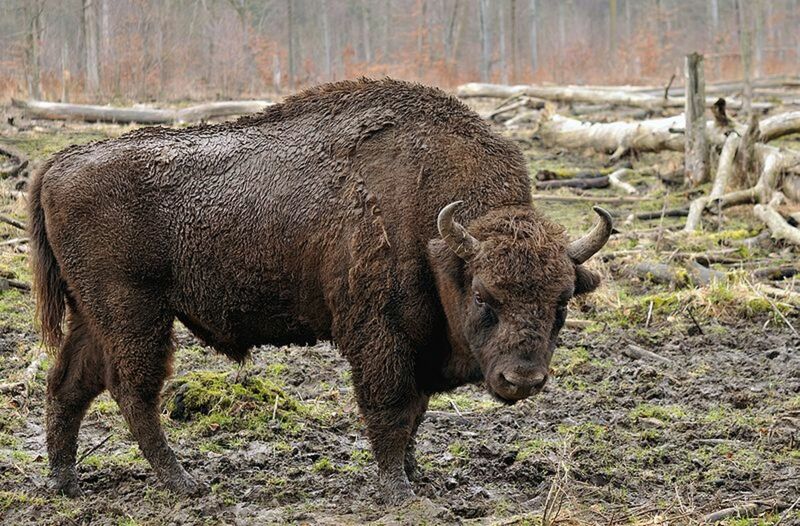 Bison are native to both Europe (the wisent) and North America (American bison.) The American bison were once abundant throughout Mexico, the United States, and Canada. Any time you see movies of the Wild West with thundering herds of herbivores, those are usually the iconic Plains Bison. There is also a lesser known species of Woods Bison. They typically have a thick, shaggy, brown winter coat that is shed to form a less dense summer coat. They can be up to 6 feet tall, 10 feet long, and weigh up to one ton. Woods Bison have short stocky legs and short curved horns. They may look like big and clumsy animals, but they can actually move quickly (they can run up to 40 miles per house) when they feel threatened. Remember that these animals are related to domesticated cows and may react like the bulls you see in bullfights if you get close to them! They had cultural significance to the Native Americans and provided food, clothing, and shelter. 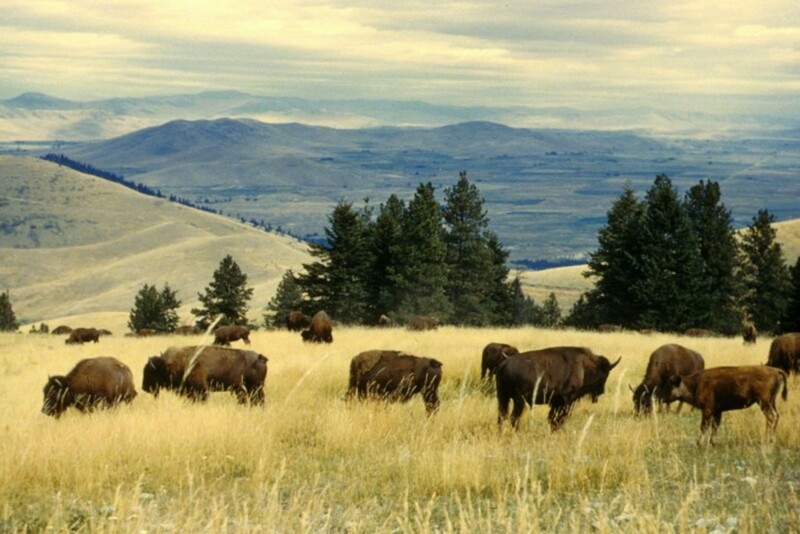 As European settlers moved west, bison were hunted to the cusp of extinction. 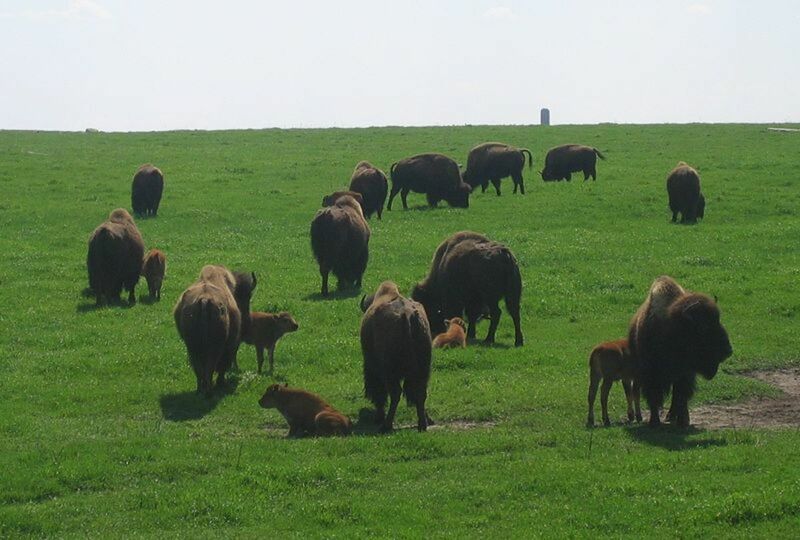 However, the increased demand for bison meat and other bison products combined with conservation efforts, the bison is rebounding and can be found on farms and national parks throughout North America. Buffalo can be separated into two main species, the domesticated Asian Water Buffalo and the Cape Buffalo which are native to Africa. 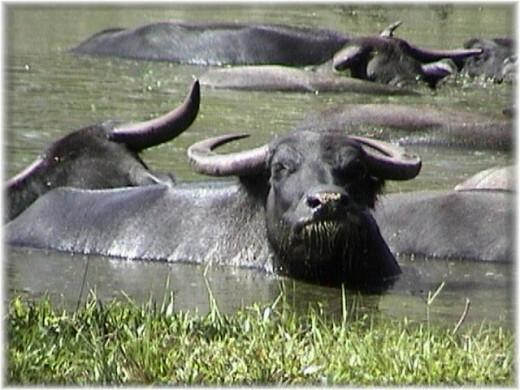 The range of the water buffalo spreads across Asia, as well as parts of North Africa and Southern Europe whereas the cape buffalo is found primarily on the plains of Africa. A buffalo's horns are longer than the bison. Some buffalo have been observed using their giant horns to toss mud on their backs, possibly to protect against insects and heat. Buffalo have a short glossy coat and are about the same size as bison. These animals have been domesticated for over 5,000 years and have historically been an important source of dairy products. 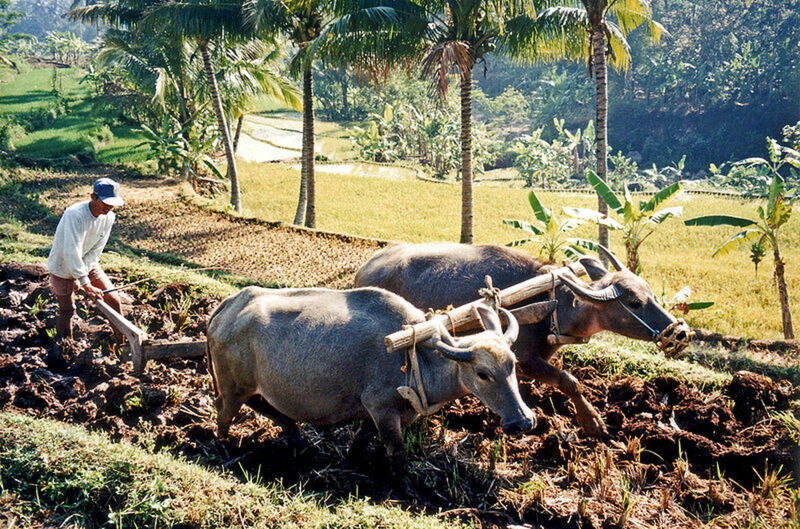 Buffalo have also been widely used in farm labor. When you refer to a buffalo, you might give a different mental image based on who you're talking to. Most Americans still use the term to mean bison, but bison and buffalo are technically classified as two different families. If you travel abroad, you might run across some confusion. As long as you keep the differences between bison and buffalo in mind, you can cut down on the confusion and recognize a real buffalo when you see one. 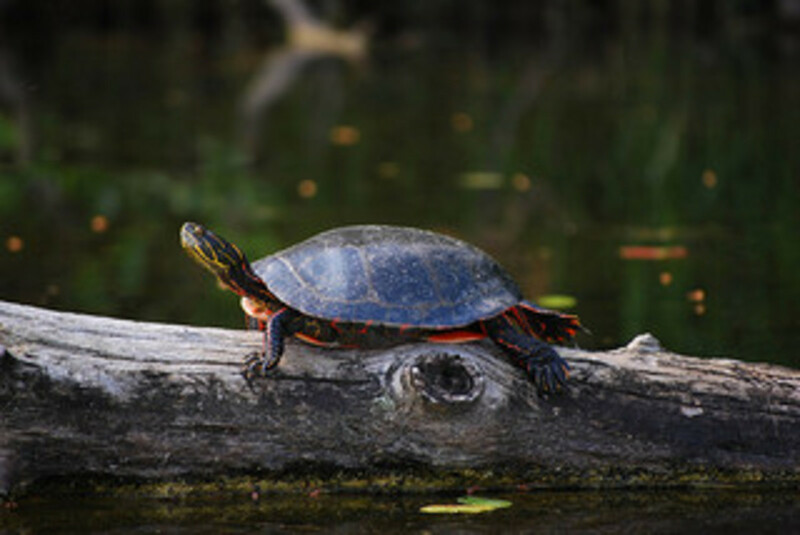 Where Do Turtles Go in Winter? Very interesting. I had always wondered about the differences, so I was very happy to find this article. 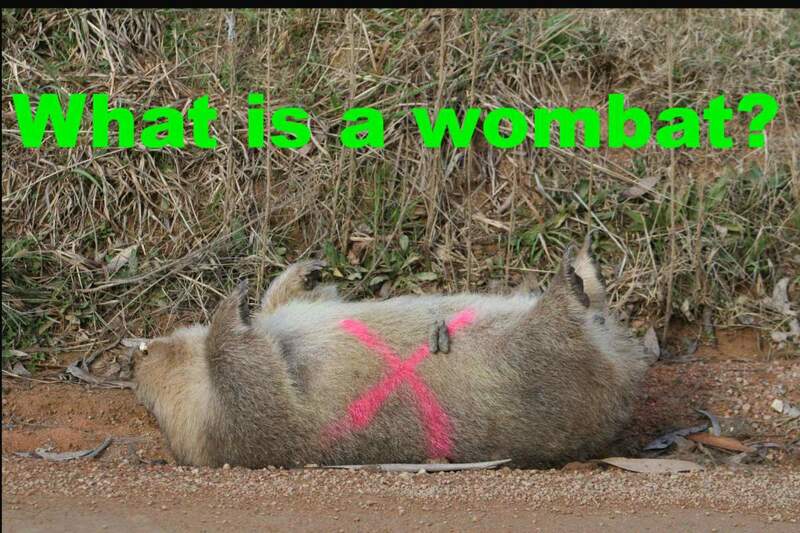 Thanks for explaining it! Very well written hub! I didn't realize there was a difference between Bison and Buffalo (or Titonka as the Sioux Indians call them, I believe). I always thought they were one in the same. We learn something new everyday, thanks for the great information! I didn't know there was a difference, either. Thanks for enlightening me. Well described. Both can be dangerous. Bison have stood-off grizzlies and wolf packs and Hemingway said the African Water buffalo was worse than a lion. 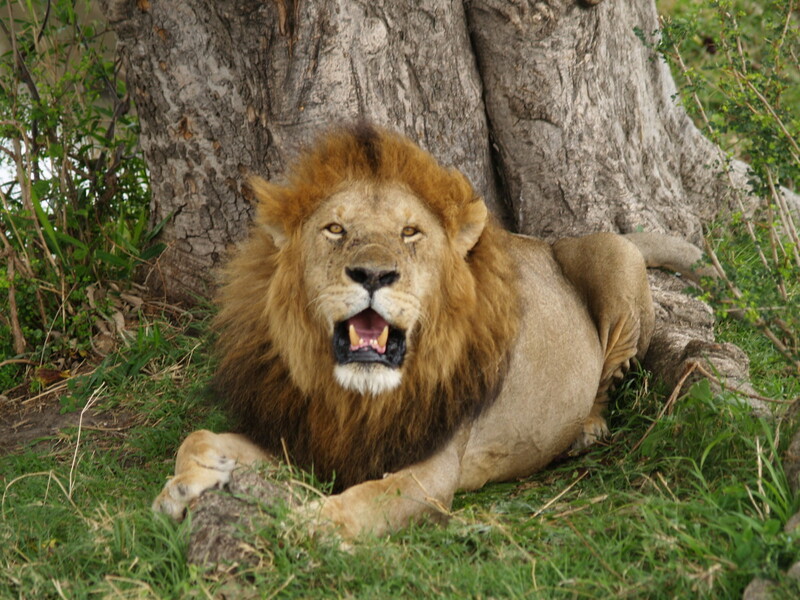 They even seriously wound lions. The are, indeed, more like the Iberian Fighting Bull in character. I've seen plenty of bison in the U.S., and have referred to them as bison or buffalo - I didn't know there was a difference. Thanks for these interesting facts. Good hub - voted up and interesting!